Although pretty with its bright yellow, daisylike flowers, not only is tansy ragwort (Senecio jacobaea) invasive, it is also toxic. An import from Europe, this biennial weed quickly establishes roots in grasslands and along the side of roads, poisoning cattle and horses that feed on it. Tansy’s invasiveness is supported by the plant’s ability to shed 150,000 seeds that remain viable in the soil for 15 years. Cutting the plant induces its roots to reproduce. For those reasons, a tansy eradication program often takes several seasons of diligent work. Pull weed seedlings before they produce flower heads. Dig with a trowel when the soil is moist to get the root system out. Throw the plants inside a trash bag. Seal it before throwing the bag in the dumpster. Reseed the area with grass or transplant non-invasive plants to choke out any new weeds that sprout. Mow the lawn to the tallest length recommended for the species. Tall grass blocks the sun from reaching the tansy seeds, preventing germination. Spray individual tansy plants with an herbicidal formula containing 2,4-D. Apply the product when the seedlings first sprout and in the fall, to plants that have flowered. Weed killers that combine 2,4-D with dicamba or with triclopyr are also effective against tansy ragwort. Use them any time from when the plants first germinate until the moment they flower. Apply whichever product you select at the rate listed on the manufacturer’s label. Contact the city or county office if you see tansy weed growing on roadsides. 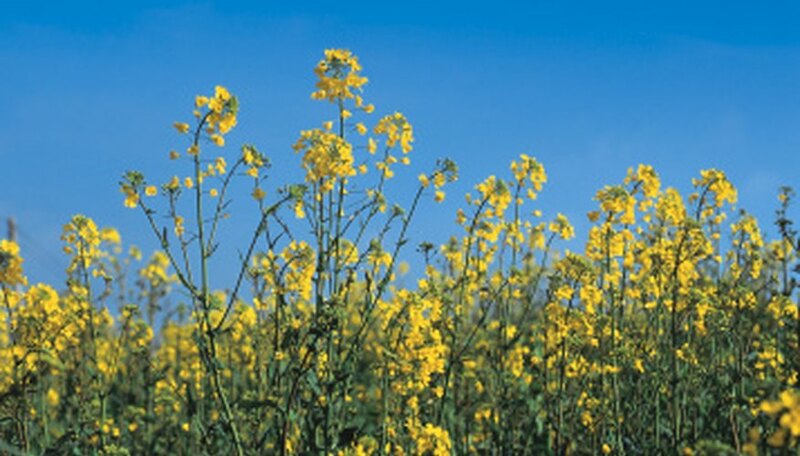 If the plant is considered a noxious weed in your area, the government may have an eradication program to stop its spread. Do not get herbicide on plants you want to keep. Wear gloves and a mask when spraying with herbicides.